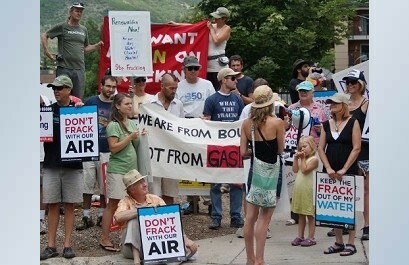 Anti Fracking Demonstrations – Colorado Photography. Chris Goodwin has just published a new set of Anti Fracking Demonstrations – Colorado photos.Anti fracking protests, marches and rallies in Colorado, at the State Capitol in Denver and at the city and county level. Bans and moratoriums on fracking have been debated, and voted on by city councils, county commissioners and directly by voters through ballot initiatives. New grassroots groups have sprung up across the state to join with established environmental organizations like 350.org and national anti-fracking gtroups to oppose fracking at both the local and state level.Check out more amazing photos from Chris Goodwin here.